Maybe a random idea but, i have a sleeper pond with wall skimmer. Currently have a pump attached to bottom of skimmer and the water is pumped to veggie filter. I also Have a cetus sieve up and running off a BD. 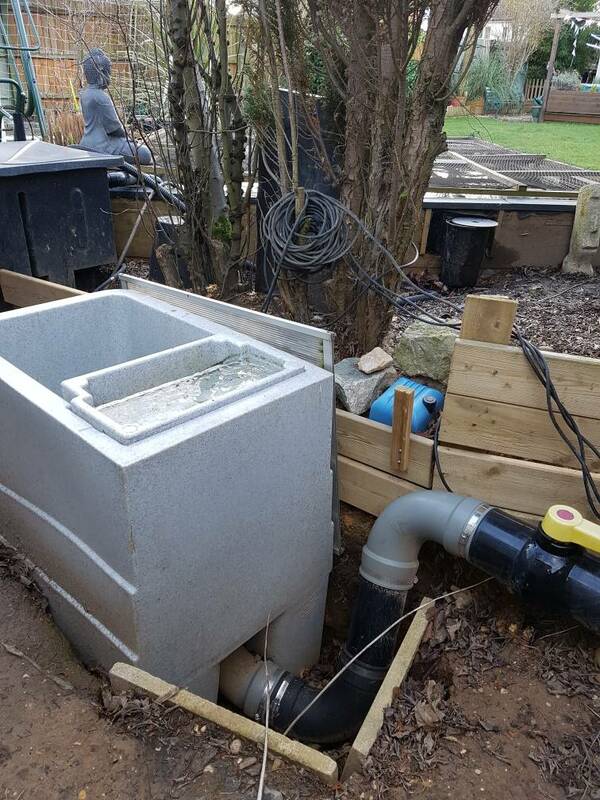 Could I just fit a tank connector through upper side wall of sieve and connect the skimmer feed via 50mm pipe to the sieve without it being pumped as sieve is lower then skimmer. 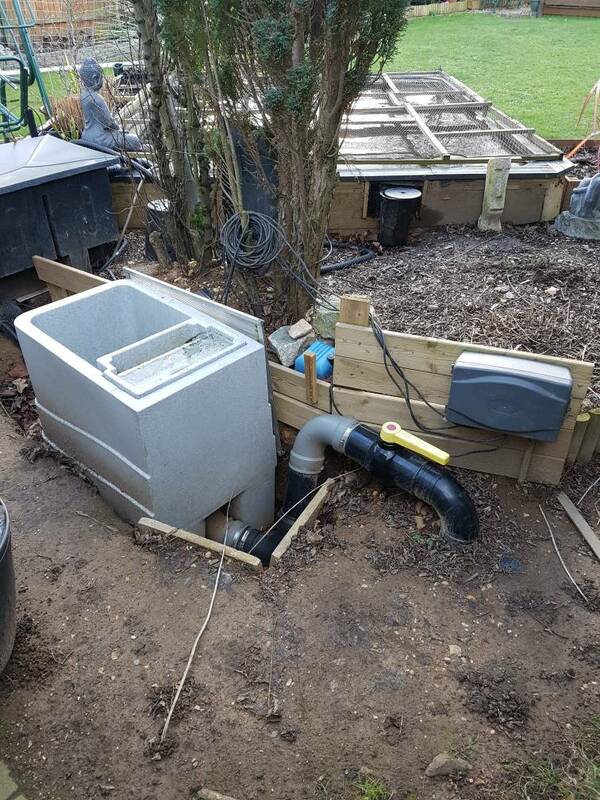 I'm basically looking to remove need for skimmer pump, and am too lazy to T a 110mm or 3inch hard pipe to the sieve feed from the skimmer as it's all underground and difficult to get to. Would there be enough draw from skimmer with a 50mm flexi hose. 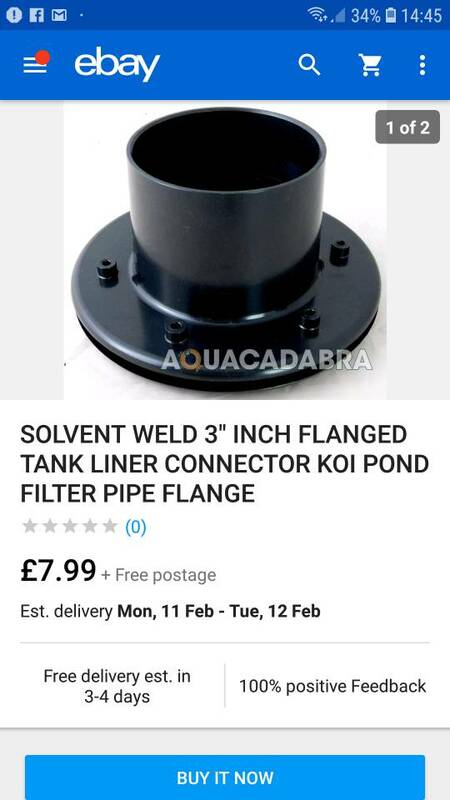 I'm soon going to do the same but using 3", valved, below the skimmer, then straight onto a 3" tank connector on my Ultrasieve. Thought process is 3" has got some capacity to it which I can adjust if needed with the valve (and isolate also) also entering the sieve lower down towards the base of the curve will give a bit of head needed to create a siphon effect with the pull of the water in the pipe. It'll also be quieter than splashing down a longer height inside the sieve. Fingers crossed. 3" tank connectors are proper expensive, unless you cobble something from other parts though. Maybe there's not enough drop anyway? Can see skimmer in wall and sieve position , would need to enter sieve quite close to screen to get enough head. What's the biggest flexible pipe you can get? The issue is that if your pump stops your sieve will fill with water and you will damage your bellows. Wouldnt do it myself - go for 3 or 4" and do the job propperly - sorry. So take a 4" or 3" reduced pipe and T it into the main BD feed ? Yep that's what you need to do - even if you use 4" all the way you will get more flow through the BD - 3" should still draw enough though the skimmer to keep the surface clear though. You will need to include a slide or ball valve on the run because you want to be able to flush the BD pipework from time to time. NB. If you want to save a bit on the slide valve you could go 110mm pipe (just as cheap/cheaper than 3") but use a 3" slide valve - 110mm pipe just fits and can be glued on the outside of the 3" Valida slide valve. Looks neat and saves on space + half the price of a 4" valve.